Michael Nyqvist is a giant. The award-winning and often acclaimed Swedish actor also takes Hollywood by storm. But he also has a new side project in progress: the launch of his own wines. In the Old Town of Stockholm on a beautiful picturesque street, I stand with my suitcase in my hand and feel stress in my body. I have come to the right street and the correct number but think about how to get in. I do not need to wonder more than a few seconds before the door opens and Mikael Christiansson greets me smoothly. 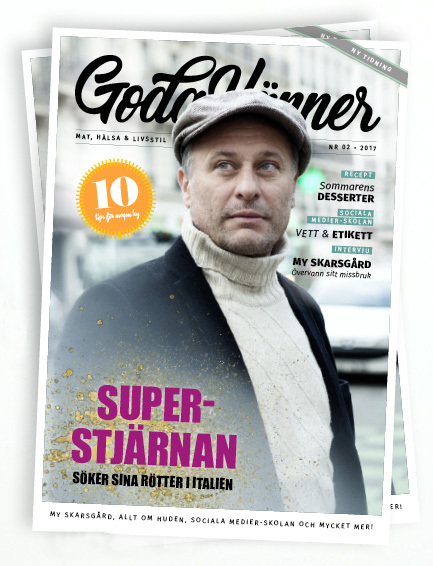 Mikael is one of the founders of Picky Drinks, a wine supplier who, together with star actor Michael Nyqvist, has launched two new wines on the Swedish market. But Michael Nyqvist is late. I say, "I'm a little nervous, I've tried to call him but he does not answer. He usually answers." I'm assured that I have plenty of time and get introduced to Picky Drinks' new premises. The office on the street is extremely modest: a table, an armchair in one corner and a cozy kitchen, a bit like a student apartment. But then we go down a steep, whitewashed staircase, squeeze us under a vault and enter a basement that directs the thought of a Bellmansk dream, with tall wax candles, a robust wooden table, and wine from floor to ceiling. When Michael Nyqvist pops up, he's wearing the least discreet, clear-colored train jacket I've ever seen and with a pair of boxing shoes paired in the laces and hanging over his shoulder. "I've just been boxing with Mange Schmidt," he says. 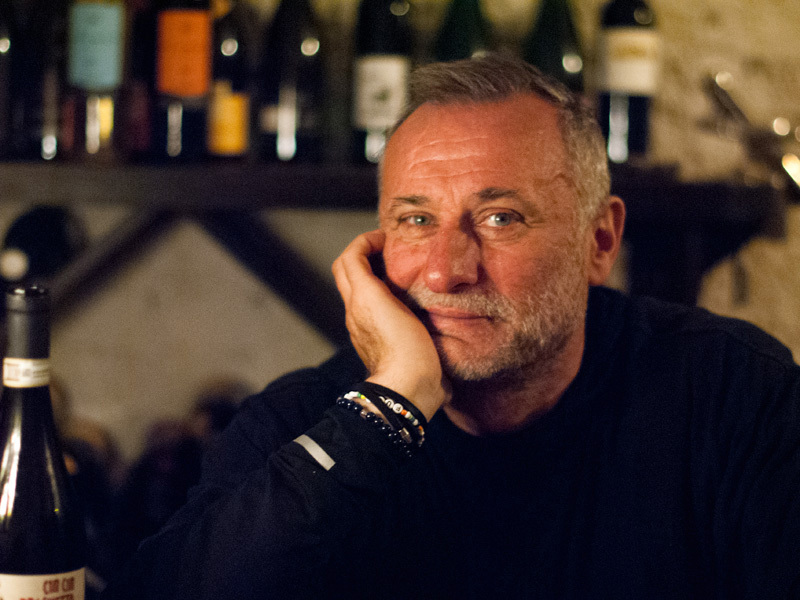 Michael Nyqvist's place in the wine world is new. He is best known of course to the general public as an actor, one of Sweden's most famous, with roles in films such as Mission Impossible, As it is in Heaven, The Guy in the Grave Next Door and as Mikael Blomkvist in the Millennium trilogy. Most recently, he is currently at the cinema as the journalist and truth owner Markel in the filmization of Hjalmar Söderberg's The Serious Game. His life trip and the journey he has made to produce his Italian Chianti and Brachetto go hand in hand. "It's a tribute to my messy background," he says. Michael Nyqvist was adopted when he was so small that he did not remember the event. What, on the other hand, he remembers more clearly is when his adoptive parents declared to him that they were not his biological parents. "At the age of five, I knew I had Italian origins. Since then I have always looked at Italians. I did not tell anyone that I was adopted, but I cheered for Italy. I loved the spaghetti and gondolas." Michael, as an adult, made the decision to seek out his biological parents. He began a thorough investigation where he utilized all sorts of resources from churches to embassies to find his parents. First, he contacted his mother. "She turned out to be Swedish. We met for 20 minutes and it was not good, but I got my father's name." Thereafter, the searches continued until one day he had a trail to the Tuscan countryside. He went there and began to look up the pharmacy where he heard that his father worked. But he was not there. "I found out that he was on holiday in Ireland. I had dressed nice in suit and tie and it was 47 degrees. In the end, I left a letter to him in the pharmacy." Shortly thereafter, he went home to Sweden to his family. Later he was contacted by his father. "It was like the most natural thing in the world. I answered the phone and suddenly I just said: 'Say paddle! Como estai? Bene, e tu? '. We have a good relationship now. He is a nice person." Chiantin and Picky Drinks is produced in the countryside between Pisa and Florence near Michael's father's pharmacy. In the wines there is not only the story of the past but also about the present and the future. The labels for the bottles are made by Michael's daughter Ellen who studies graphic design in London. They immediately direct the idea of classical film history with Michael Nyqvist dressed as death in Ingmar Bergman's Seventh Seal and with a nostalgic horror film scene. "Before we had a design for the Brachettoflaskan and I dressed as Anita Ekberg in La Dolce Vita, but the Italians who make the wine didn't like it. So now I'm dressed like death but have kept her famous bag," says Michael. The wine interests have been around for a long time, even to some extent as a tribute to the country in which he has his roots, but it has grown mainly in connection with his interest in food. "I spend many hours at the stove. I enjoy preparing the food with the wine, and seeing how happy those eating and drinking are." But have you been able to spend so much time at the stove in view of your profession? "I do not usually stay in a hotel but in an apartment so I can cook and it's crazy. Then I can go to the fish market in Chile and pick. When I'm free, it's like meditation for me to cook." 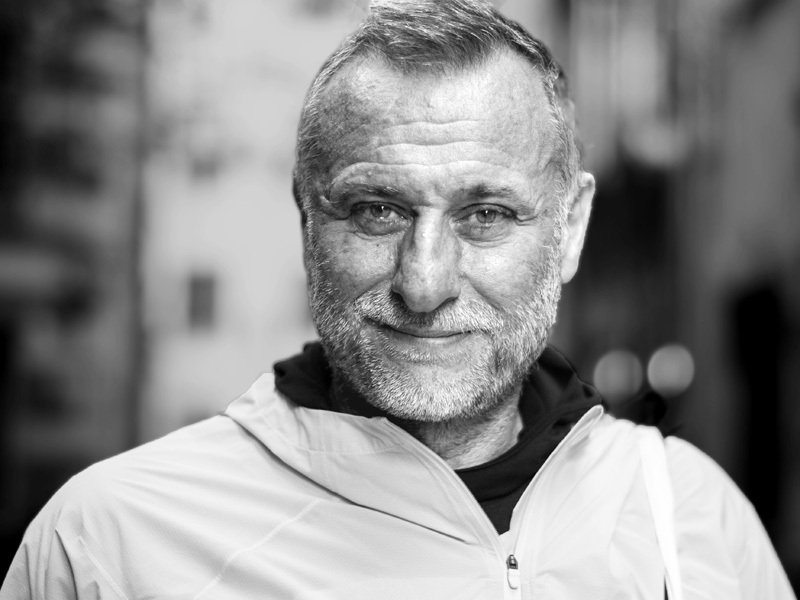 Training has always been natural for Michael Nyqvist and although his job often requires that he is in good shape, there is also an inner drive for him to stay healthy. "For me, exercise has always been a sense of freedom." What do you prefer for food? "I've stopped eating meat, but I cook a lot of fish and pasta." Was this for health reasons? "I felt I did not feel well, either bodily or mentally. I became heavy. And I'm at an age when I do not think that you should eat too much protein. It's not useful." "I think the whole thing is about acceptance."